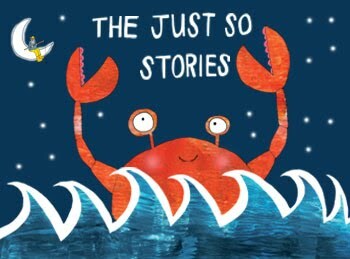 I’m pleased to be able to say that my wee theatre company will be reviving our production of The Just So Stories this Easter. This production will be at LOST Theatre on the Wandsworth Road, and will feature returning cast from previous productions, so you know you’re getting the good stuff. Still not convinced? Why not read some of the five-star reviews from our Edinburgh Festival production of the show. The production runs from the 2nd to the 14th of April 2013 at 3pm. Tickets cost £10 for adults and £8 for concessions (plus booking fees) and are available to buy now online or by calling the Box Office on 0844 847 1680.